At least 40 people were killed and more than 20 seriously wounded in shootings at two mosques in Christchurch, New Zealand. 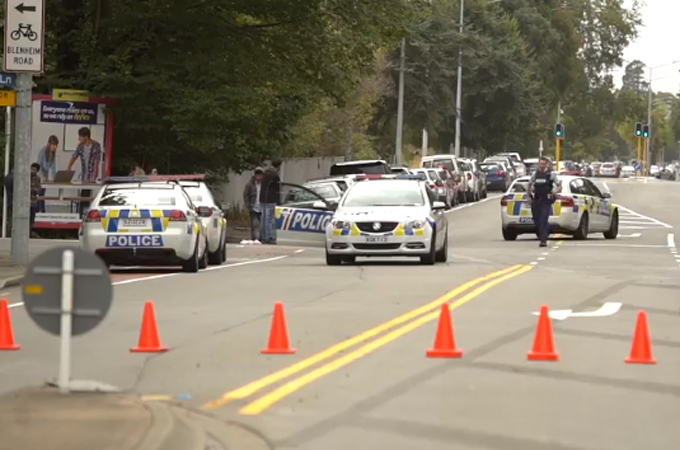 Attackers used semi-automatic weapons on worshippers gathering for Friday prayers in two locations: a mosque at Deans Avenue in central Christchurch and another mosque in the nearby suburb of Linwood. Reports also claimed one of the shooters had an IED strapped to his person, but NZ police confirmed he has also been made safe. "There have been huge acts of bravery to apprehend these people, but let's not assume that the threat is over. We are as visually equipped as we can be," NZ Police Commissioner Mike Bush said. "As you can imagine this is requiring every police and emergency resource that we have available. We have defence force aircraft in Wellington ready to fly more resources into the area, and we will do that from other locations nearby as well." The attacker reportedly targeted the men's prayer room in the mosque, then moved to the women's room. "He came to this side, he shot this side, he went to another room and went to the ladies' section and shot them. I just heard one of the ladies has died," he said. The Linwood mosque has been evacuated, and Police Commissioner Mike Bush said "multiple fatalities" were recorded at two locations. As yet, far fewer details have emerged from the second site. Australia's Prime Minister Scott Morrison said one of those arrested was an Australian citizen. He described the suspected attacker as an "extremist right-wing violent terrorist".